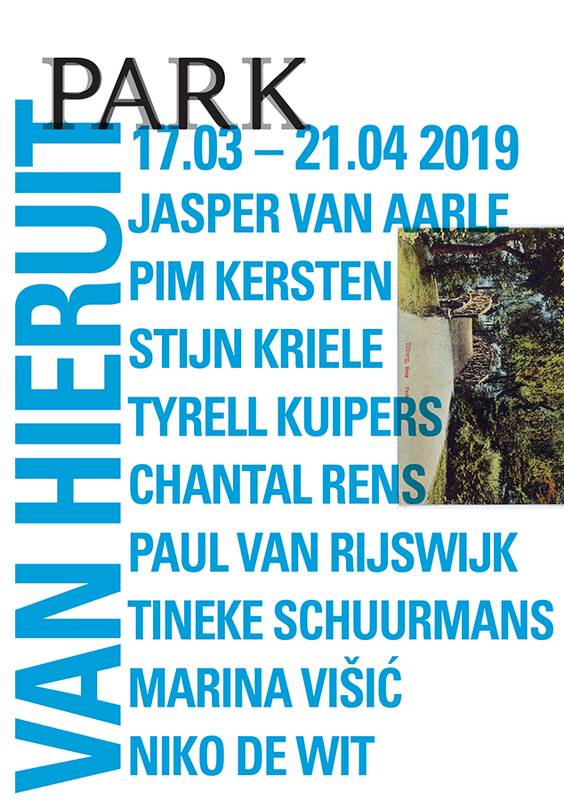 In Van Hieruit PARK shows the work of nine artists living and working in Tilburg. With this exhibition PARK wants to do justice to the idea of Tilburg, city of makers. For many decades the city has been enriched with generations of artists working in different disciplines and forms of expression. This versatility is embraced in Van Hieruit. PARK acts from a typical Tilburg maker's mentality. Despite austerity, the city seems to continue to make a firm commitment to the arts. And that is important, because art has a hard time. It must be functionally applicable, involved with society - but not too offensive -, it must connect, be economically viable and also attractive. PARK likes to offer space and time for experiment. In this exhibition PARK focuses on different perspectives and various professional practices, to open instead of to narrow. Van Hieruit is a group exhibition devoted to Tilburg talent not previously shown at PARK. As a context, the exhibition shows a wide diversity in work, age and media and aims to engage in conversation about the value of different perspectives, mentalities and work practices. From here into the world. The opening on Saturday 16 March at 4 pm will be done by alderman of culture Marcelle Hendrickx. You are cordially invited.